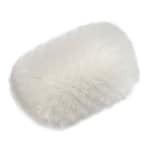 The Carlisle 4004302 Sparta® Spectrum® kettle brush has crimped polyester bristles that are resistant to breaking, bending, and chemicals. 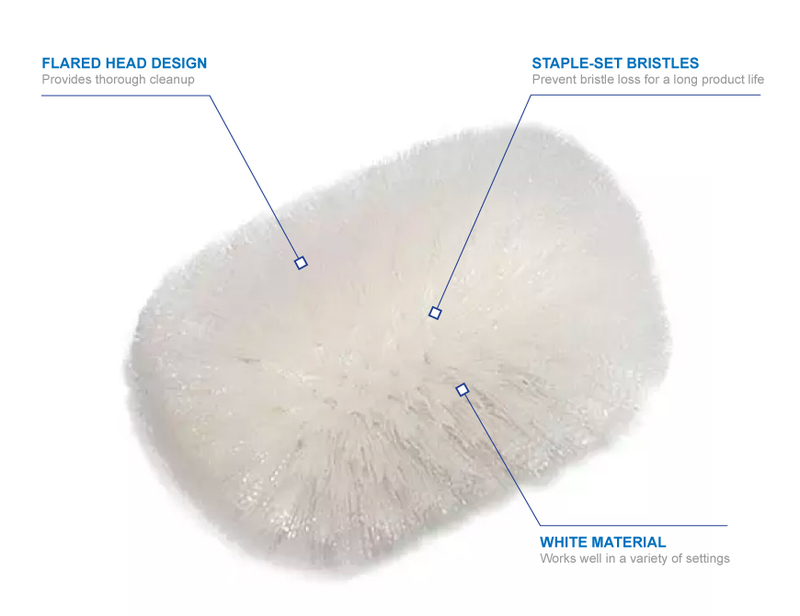 Since the bristles are staple set into the head, they will not fall out after heavy use. Their flared design offers a thorough, efficient clean, and with the addition of a threaded handle, this brush can reach the bottom of deep tanks, kettles, and vats.